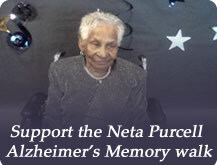 Our mission is to encourage family members to observe and know the warning signs in order to help protect their loved ones from abuse and neglect, empower caregivers with the tools and resources to provide quality care, educate the public to know and understand the early signs of Alzheimer's disease and help raise funds towards research. We also uplift seniors and disabled people through senior proms, Fashion shows and other entertaiing events. To treat the elderly and disabled with the dignity that they deserve while supporting their needs and including family members in their everyday activities. Respect: We respect the elderly and their families and encourage their efforts for the best care and living environments. Honor: We honor our elders by providing proper information to facilities and value their health. Care: We believe that tracking the progress of a resident's health will accomplish better understanding between staff and family members. 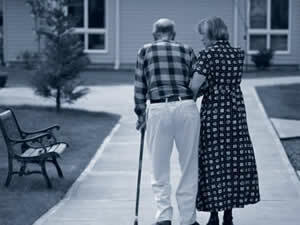 The quality of the nursing home facility is very often determined by the family's effort and time. SFNR was founded in January 2012 as a result of a dear family member's personal experience with a nursing home facility. The experience encouraged a community to address elderly care issues to reassure proper treatment, protection and care for our loved ones. Support your family members through participating in nursing home family counsel meetings. The family counsel is a group of family members, friends and community members that come together to discuss the needs of the residents in order to pursue open communication with the nursing home staff. The goal is to address concerns for residents and their families to help make the facility a better place. Members are protected under the family council, this is a closed meeting and facility members can only attend by invitation from the family council. Support your family members through participating in the nursing home family council.